If you read a significant number of blogs or magazines, you've probably heard about the book The Life-Changing Magic of Tidying Up. The book is by the Japanese organizational consultant Marie Kondo, and has a magical effect of inspiring you to clean out your closets and drawers. I started reading the book in December, and ever since, I've been employing its tips for simplification and de-cluttering, which includes taking the time to clean and organize my sewing room. While sorting through drawers, I came across a number of cut fabric squares from past projects. Rather than letting them languish any longer, I decided to turn them into quilt tops for my local chapter of Project Linus, and get them out the door. 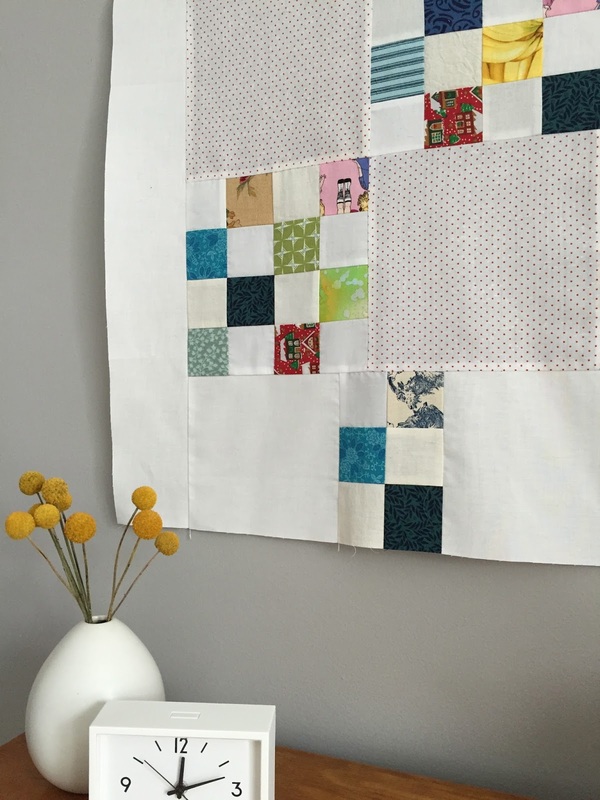 Each top is crib size, and features polka dots, solids, calico prints, and white borders. Each was a quick and satisfying finish, and it's so nice to know that these fabrics will now be put to better use! Have you read Ms. Kondo's book? Has it left you feeling similarly inspired to organize and de-clutter your space? 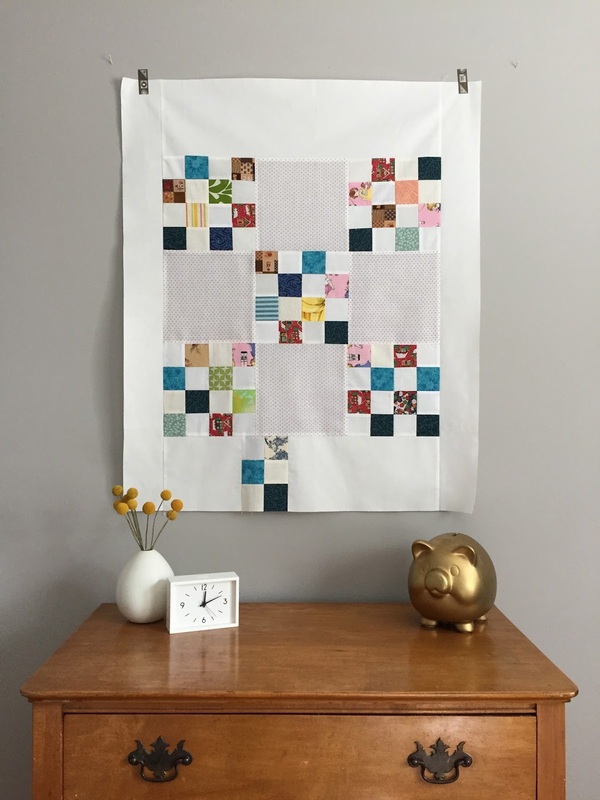 Each month, my friend Kait and I are making a project from the book, Last-Minute Patchwork and Quilted Gifts ("LMP+QG" for short). You can see previous projects here. 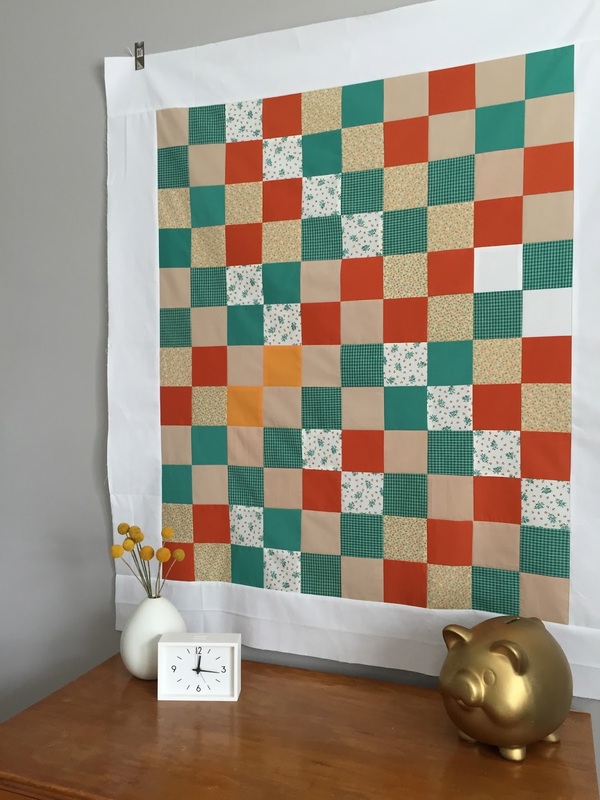 For September, Kait and I decided to make the iconic Color Wheel Quilt from LMP+QG. While I love the original pattern, I decided to change things up a bit since the idea of sorting through my scraps and selecting and arranging 52 fabric wedges in color order quickly overwhelmed me. Instead, I decided to shrink the pattern down and stick to one color. Thanks to this Purl Bee tutorial, based on the Color Wheel Quilt, I was able to print out smaller templates for my mini version. I typically don't work with purple, but since I decided this would be a birthday gift for a good friend who loves purple, I decided to give the color a shot. Thanks to some creative piecing, I managed to scrounge up 16 unique purple wedges. 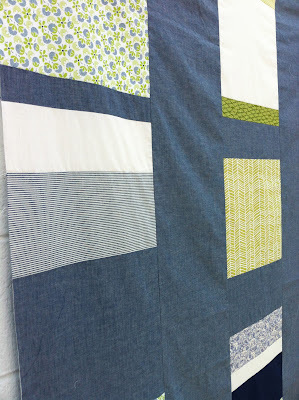 Though the piecing is not perfect (there was definitely some bubbling due to all of the bias-cut edges stretching), I love the results and am particularly smitten with the purple---I'm surprised at how well all of those scraps work with one another. I can't wait to quilt it and turn it into a wall hanging! Coming up next month: Sewing Summit! We'll be back in November with Bird Ornaments. P.S. Want your own hand-stitched cross-stitch button? I'm sending one to everyone who donates to our team for the Walk to End Alzheimer's and leaves a comment! Details here. UPDATE: And here's the finished purple color wheel mini quilt! 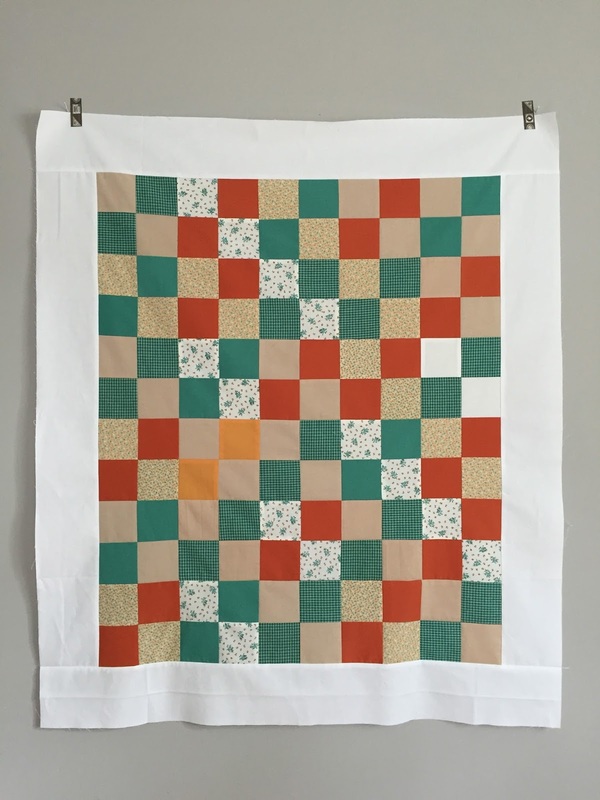 Last year, while on a trip to Baltimore, I stumbled across Kathreen Ricketson's Little Bits Quilting Bee in a bookstore and was immediately inspired by the patterns I saw. 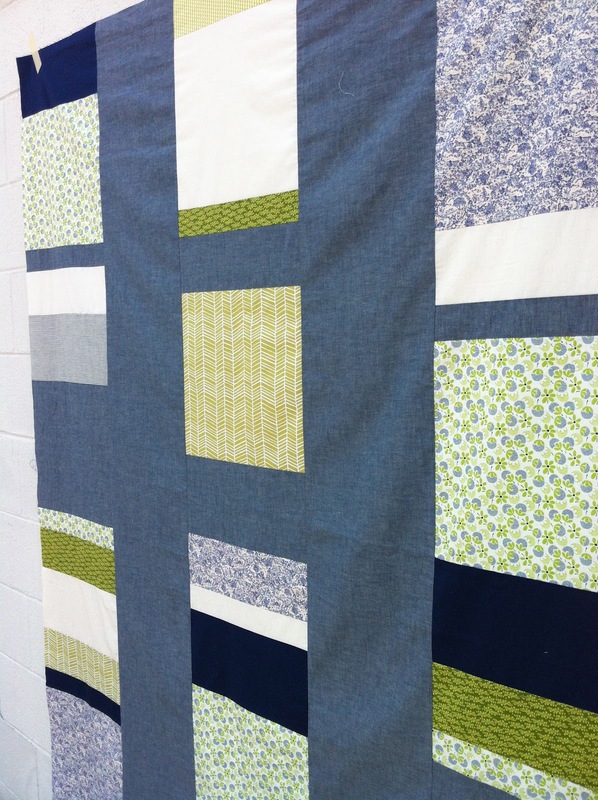 I plan to make many of the book's quilts, and this past weekend, I finished the top (and backing!) for my first one: Prismatic. I'm starting to stockpile quilts for this winter, and this one is destined for our bed. My stash of light blue fabrics was beginning to get out of control, so I put them to good use for this project, and thankfully they'll coordinate well with our bedroom decor. Now, I just need to figure out how to quilt it. Straight lines or orange peel? For the month of May, Kait and I decided to tackle the Summer Breeze quilt---just in time for summer picnics and trips to the beach.